I don’t know about you but when I was first pregnant I was overwhelmed with everything on offer and what I did and didn’t need. 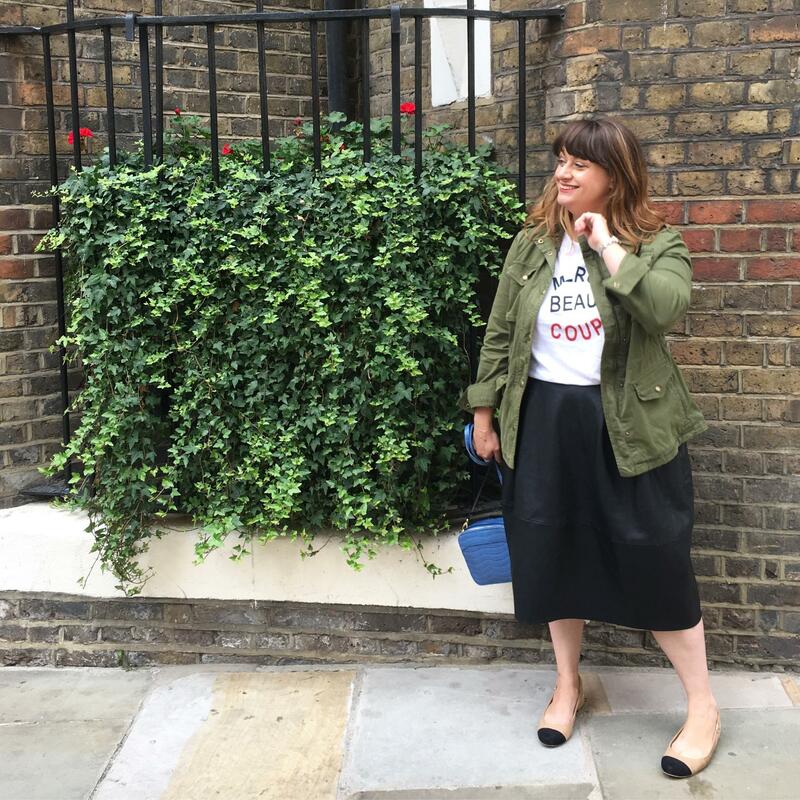 I can’t even imagine being pregnant now as there seems to be even more choice than when I was pregnant over 4 years ago – and something to suit every need whether you need it or not. That’s why when I visited the appointment-only baby and nursery consultancy Eat Sleep Love I could see this was fantastic ‘black-book’ address you needed to know about. Based in the family-focused suburb of Blackheath in South East London – this gem of a store is worth going out of your way for. 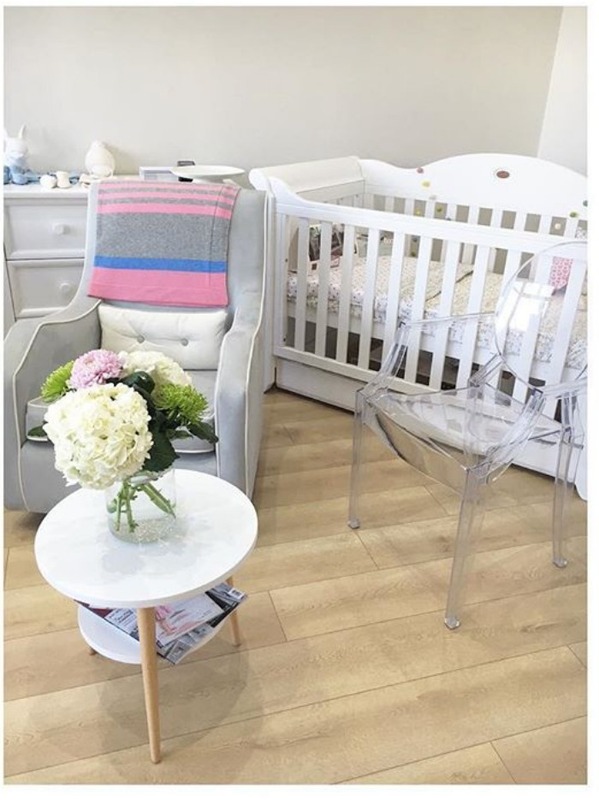 Stocking over 75 of the best baby brands from Aden & Anais, Bloom, Jem + Bea, Olli Ella, Joolz and Cybex along others. 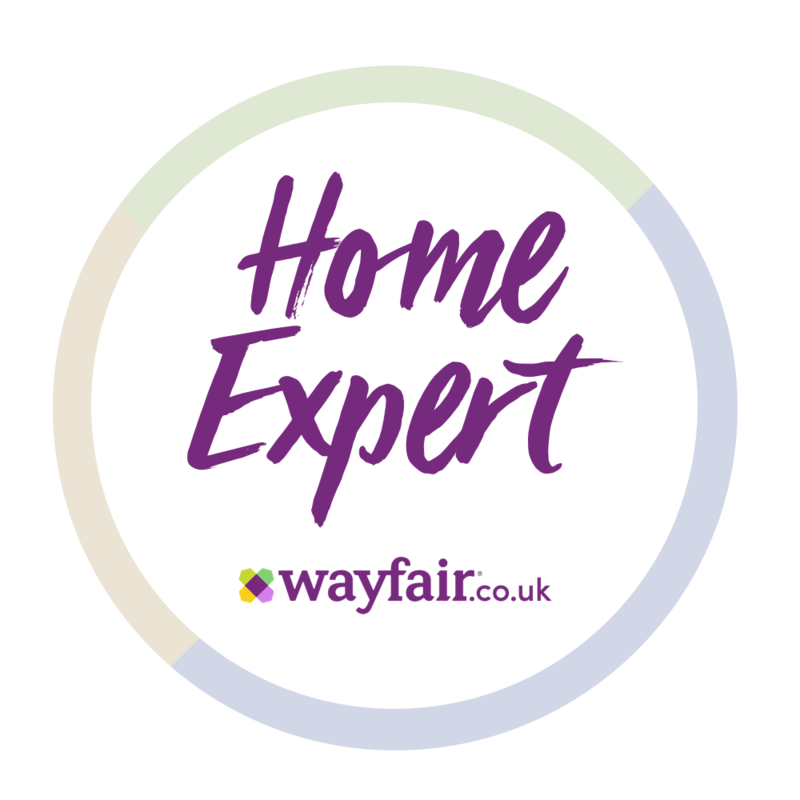 The one-to-one 2 hour appointments are stress free as the instore experts help you create a wish list of items you really will need to suit your lifestyle, budget and taste. This list can then be shared with family and friends – and what’s more items can be delivered all at once, or at your convenience. Eat Sleep Love also offer an assemble and fitting service – and even take the boxes away for you. How’s that for stress free baby shopping? My only worry would be wanting everything from the store as Laura has impeccable taste and the store reflects this. 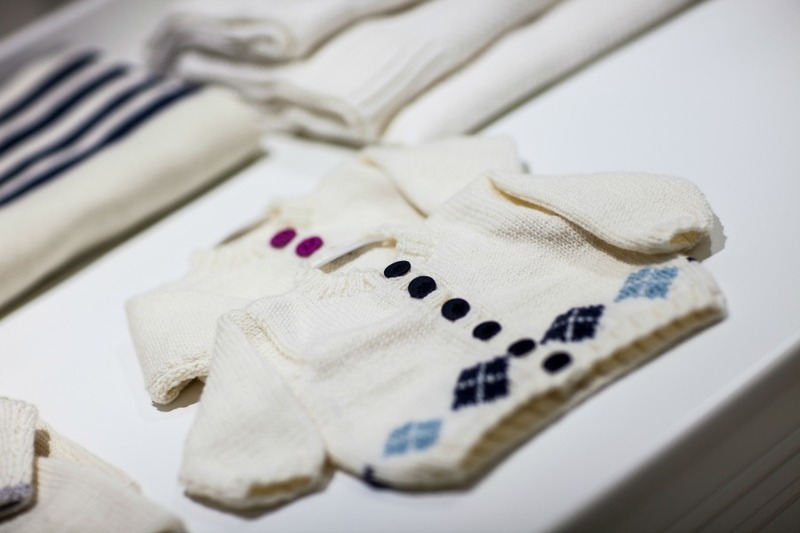 I especially loved the in-house branded hand knitted baby cardigans, Christening gowns and accessories all made by Laura’s mum. There’s also plans for sling meets, breast-feeding classes and other mum events – so it’s definitely a place to watch! 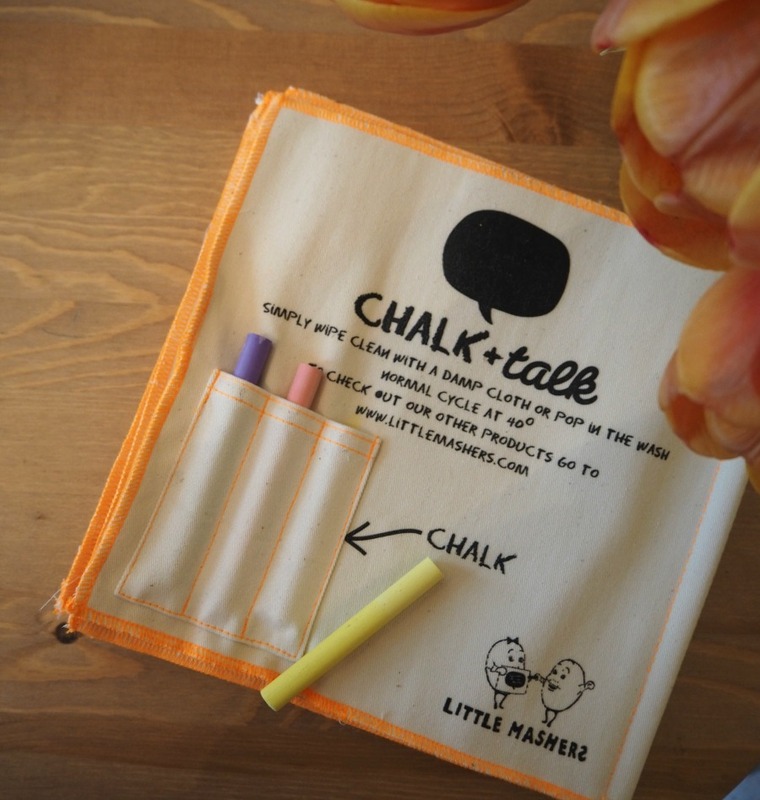 So I was intrigued to try the Little Mashers Chalk + Talk book. As this is no ordinary book. This is a book and a chalk board in one. Made from 100% cotton and featuring a special screen printed chalkboard inked pages – genius right? 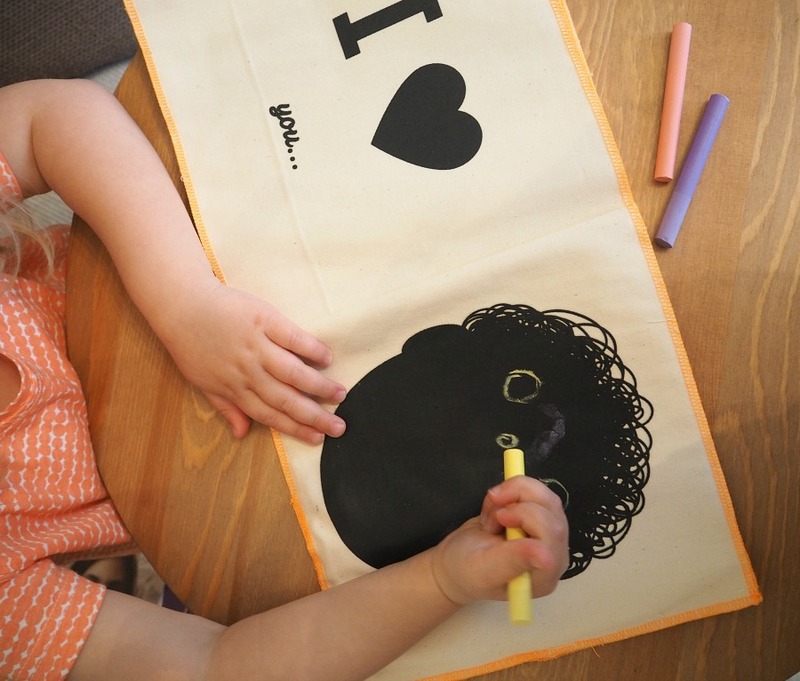 And like a chalkboard – the pages can be wiped clean – using a damp cloth, wet wipe or if it gets really messy artistic you can throw in into the wash (at 40 degrees). The soft fabric design means it can be rolled up and put in your bag, car door pockets or even in your little ones rucksack. 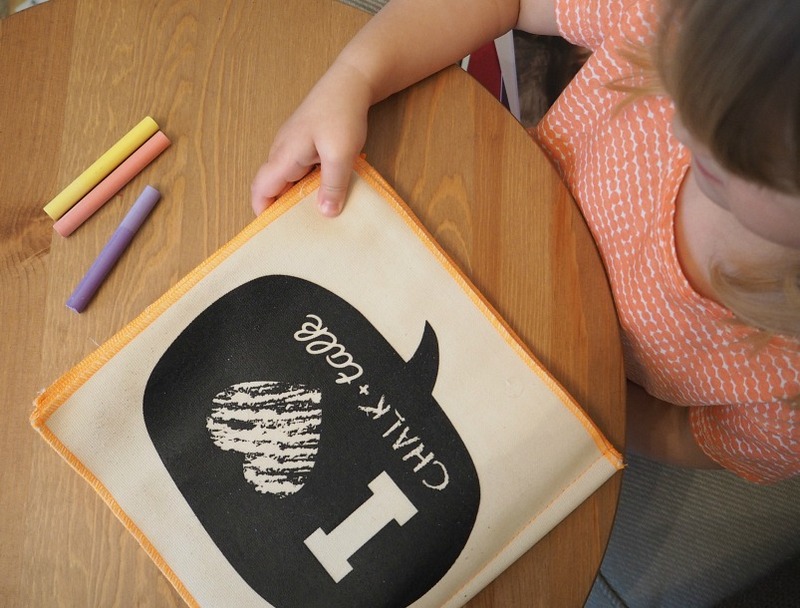 The Chalk + Talk book is a great conversation starter as its get toddlers talking about what they love. 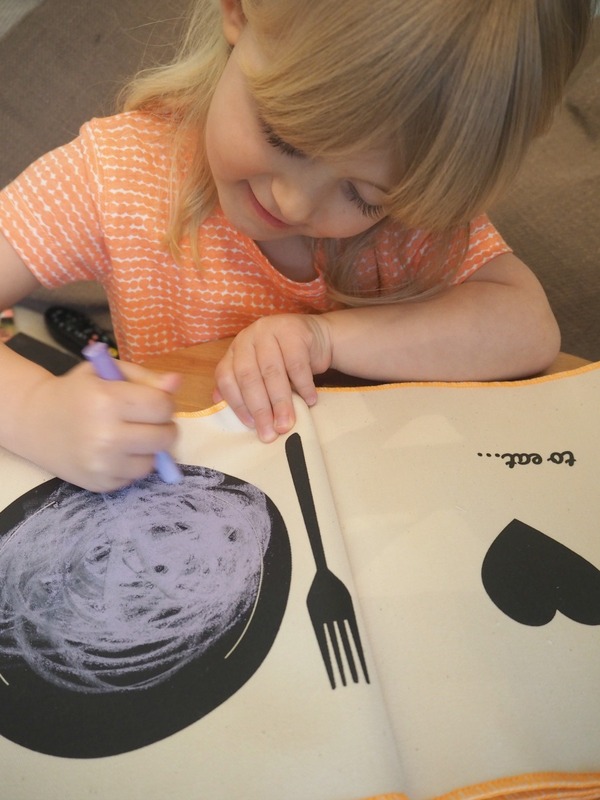 As each page feature a I love… to talk (with a speech bubble for them to write in, I love…to eat (with a graphic plate for them to draw their favourite food) and so on. Miss M went straight for the dinner plate design to draw Spaghetti Bolognese. And, the best part a set of 3 chalks can be stored in a little pocket on the back page – meaning no broken pieces and watching them roll away while out and about (hopefully). 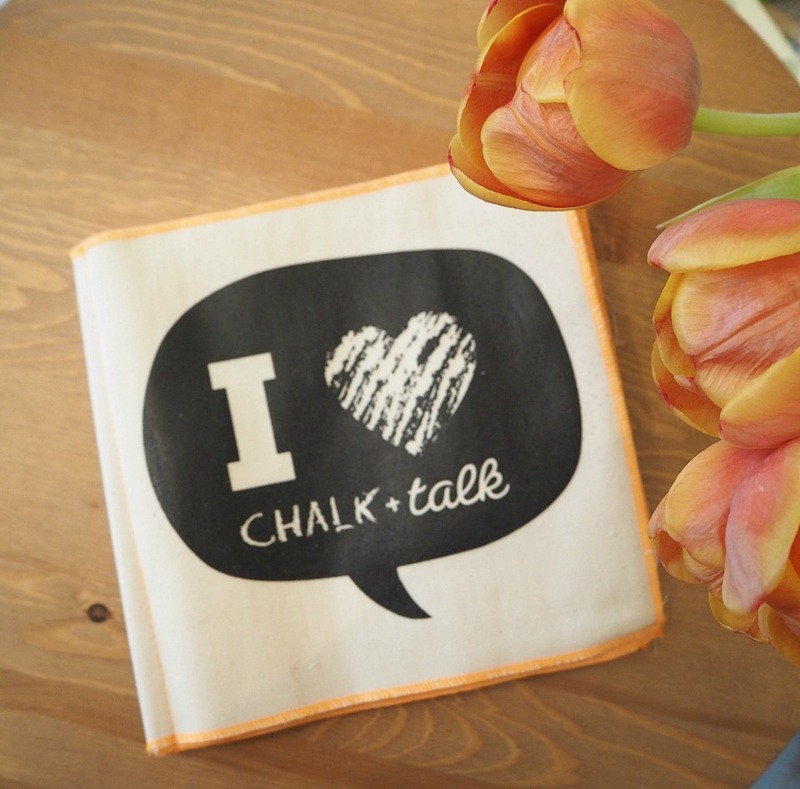 Little Mashers Chalk + Talk cost £20 – and I think it makes a great gift for birthdays and holidays. 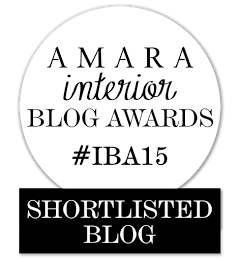 I may be in the midst of sorting my 1970’s dinner party for my 40th birthday weekend – but I’m also planning a retro kids party for Miss M and her buddies – so have been checking out my favourite kids party sites. One party set that caught my eye was the Let it Snow from A Little Party Box. Inspired by of course, Frozen (will the popularity of this film ever go?) – but it’s a stylish take on the Disney film and party wear you normally find. 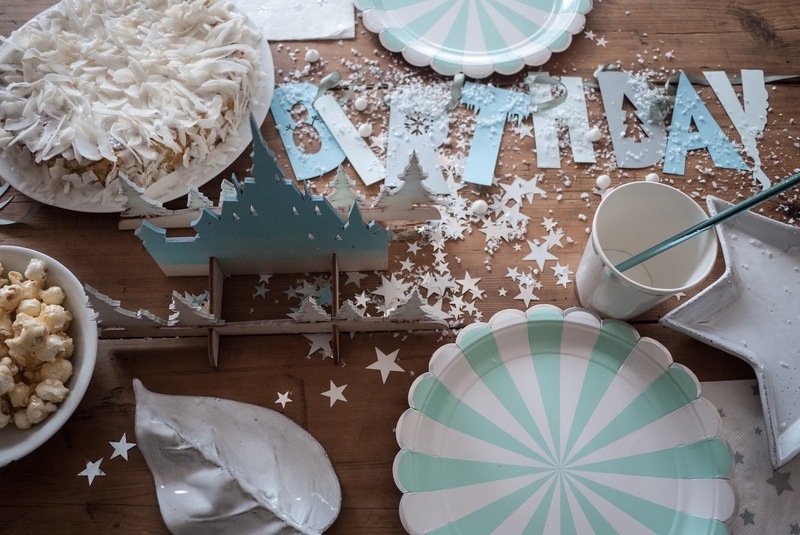 With artificial snow, hanging honeycomb globes and a stunning wooden castle centrepiece – the theme is completed with silver and icy blue paper plates, cups and bunting. A Little Party Box is the ideal solution for time-poor mums as they can be ordered for 8, 16 or 24 kids from £49 – and best of all means you have everything you need to hand. 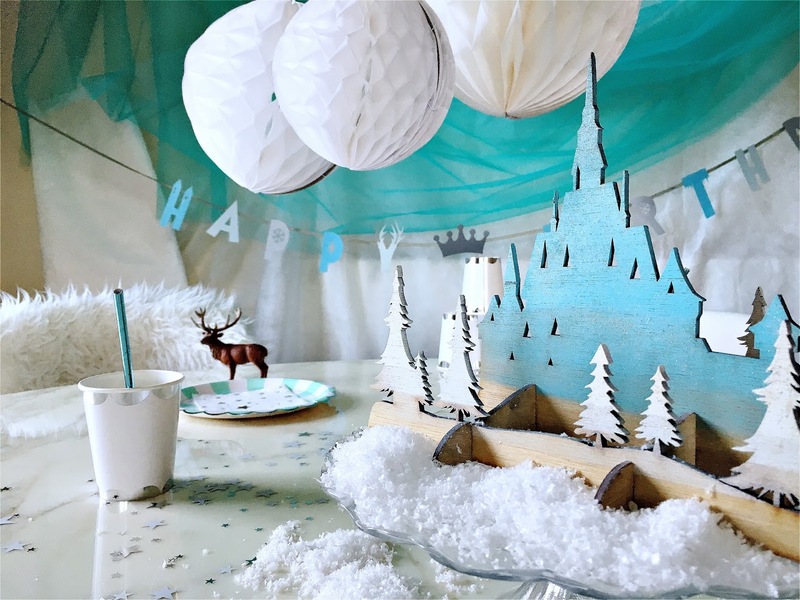 Miss M’s birthday isn’t until September and she has already asked for a Frozen party – although I’m trying to push her in the Circus theme direction! If you’re in the middle of planning a party take a look at my Pinterest boards for inspiration from food to decor and party bags to games. 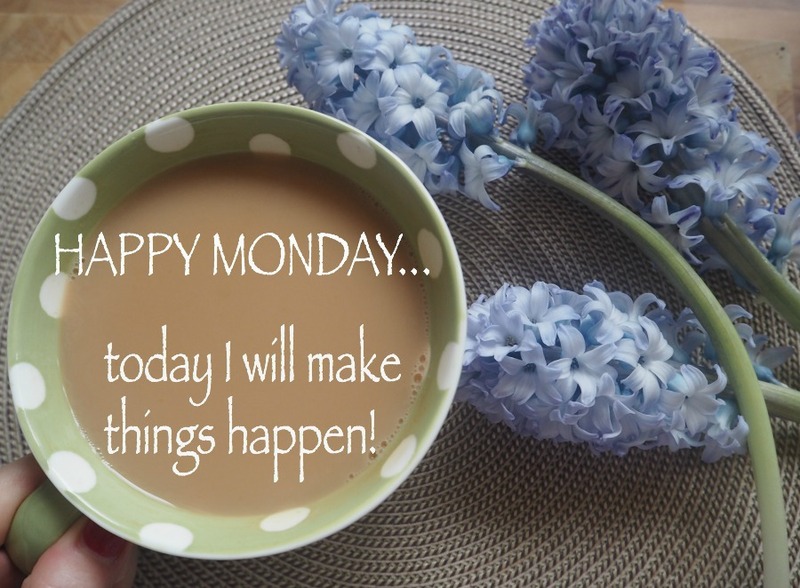 Follow mama’sVIB ‘s board GIRLS BIRTHDAYS on Pinterest.